Why does a Diels–Alder reaction not occur here? I have recently come across this organic chemistry problem. I thought it would undergo simple Diels–Alder reaction But it didn't turn out to be. The product to me looks like a nucleophilic attack of (I) on (II). Can anybody say me why exactly this abnormality seen and what is the mechanism of this reaction? Browse other questions tagged organic-chemistry reaction-mechanism or ask your own question. Why does sulfonation of alcohols even work? Ring closure via intramolecular nucleophilic substitution or intermolecular dimerization: which is favoured? 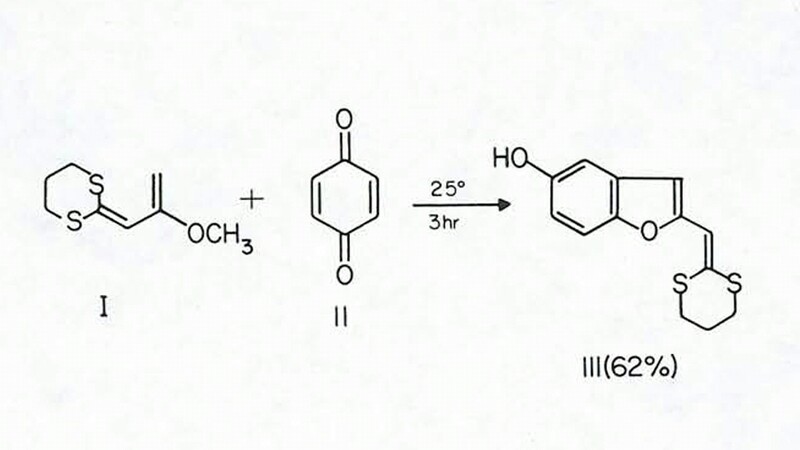 Reaction between RCH2=CH2 and CCl4 — Why does it form RCHClCH2CH(R)CH2CCl3 along with RCHClCH2CCl3? Can vinyl alcohol react as a dienophile in Diels-Alder reactions?